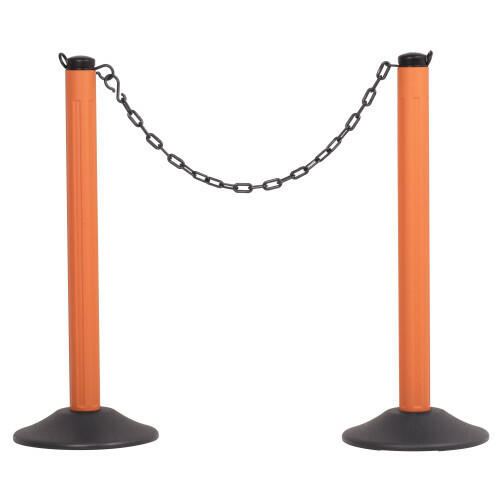 Versatile and durable, the ChainBoss shows why it stands out among other molded stanchions. The patent pending features and many options to choose from makes the ChainBoss the best value on the market today. Patent pending twist top with storage for up to 10ft. of 2in. chain. Options include pre-filled or unfilled base, multiple post and chain colors to choose from. HDPE resin construction will provide years of use in the toughest environments. Available with or without 10ft. chain.